Hot off the Anet A6 3D printer. 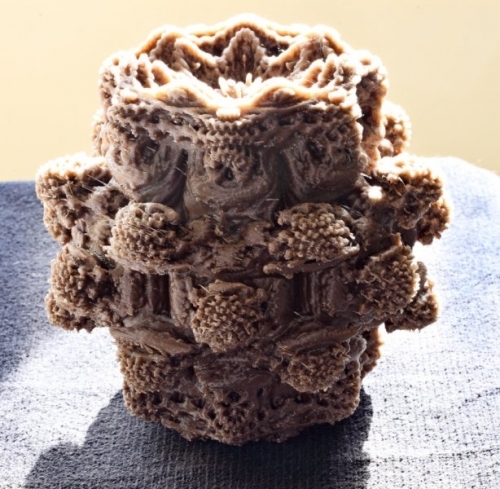 A Mandelbulb emerges from the Matrix. This is a 165mm diameter Mandelbulb in Rigid.Ink Gold/Bronze PLA at 0.2mm resolution and 30% infill. 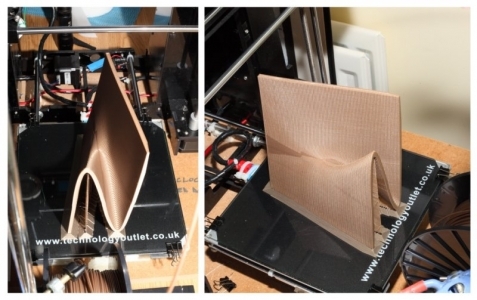 91-hours and 19-minutes to print. Probably another 100-hours to remove all the supports. Approximate weight 800 gram. I had a little break from the 3D printing over the Christmas period, but bought 3 reels of Rigid.Ink PLA a couple of days back to get some more work done. First off the printer was a “Cusp Catastrophe” in Rigid.Ink Gold/Bronze PLA. 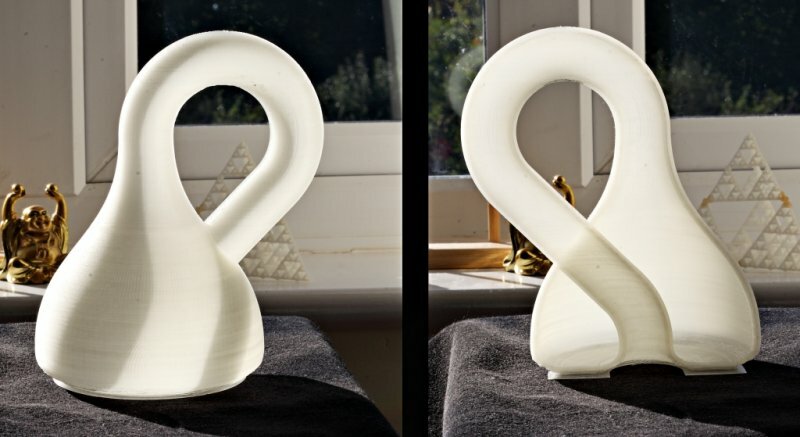 This mathematical object has been printed out for an American Mathematics Lecturer friend of mine to use in his teaching. 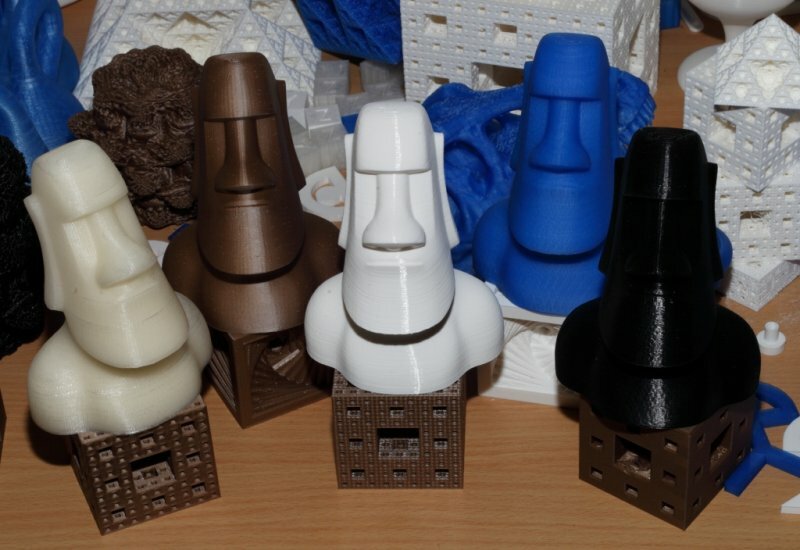 Other images show Moai in Natural, Gold/Bronze. White, Trans Blue and Black PLA. Finally, as I had the camera out, there is a pic of all my prints up to date (except for Alexa top left and the Egyptian Cat Bookend top right). 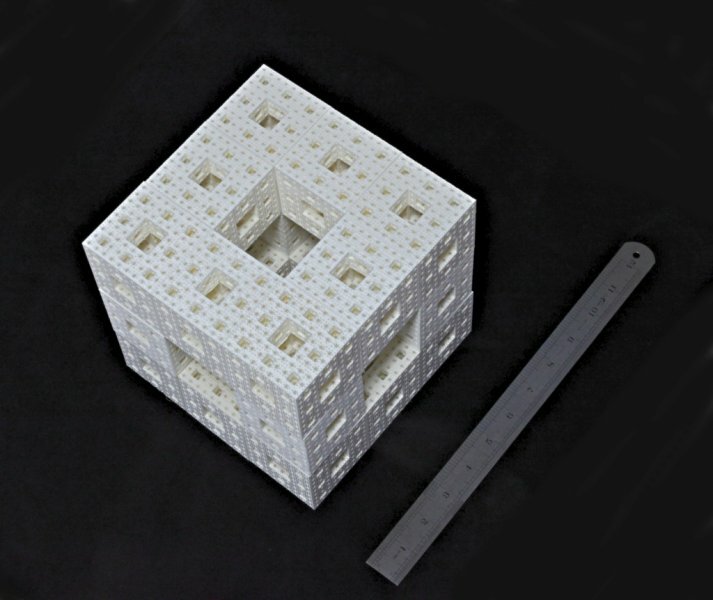 Just completed a 5th order Menger Sponge, 180mm on a side, using the Anet A6 printer. 346 hours of printing and 1.5kg of Rigid.Ink white PLA filament. Got today’s EPOD with an image of Romanesco Broccoli showing its Fractal structure. 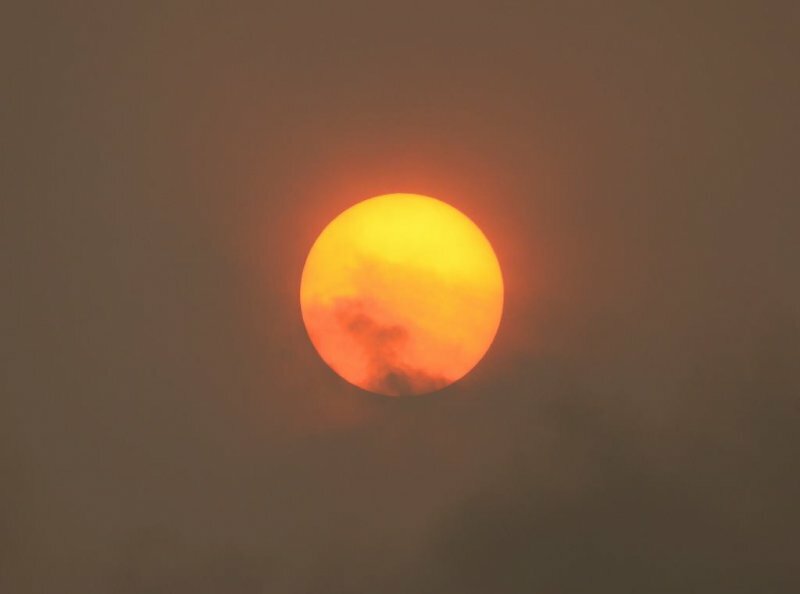 Thank you Jim at EPOD for continuing to publish my work. 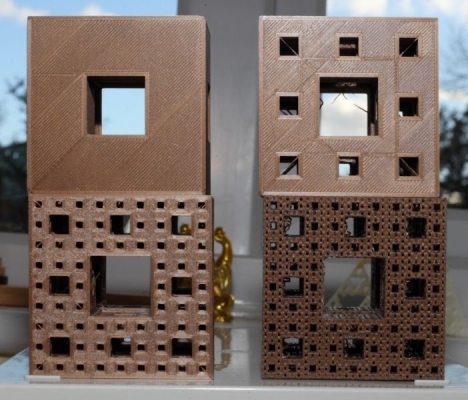 Here are a 1st order, 2nd order, 3rd order and 4th order Menger Sponge in Rigid.Ink Bronze/Gold PLA filament. 50mm along an edge, they need a little clean up to remove the strings. 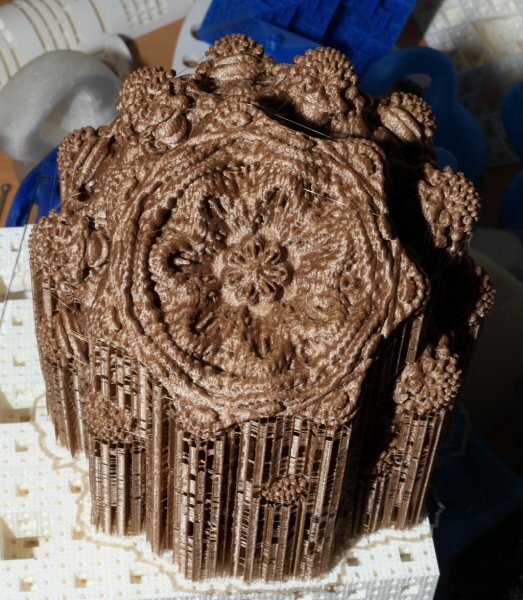 Got to remove all the fine hairs from the 3D Mandelbulb – but this is a 100mm diameter Mandelbulb printed using Rigid.Ink Gold/Bronze PLA filament. Resolution 0.2mm. 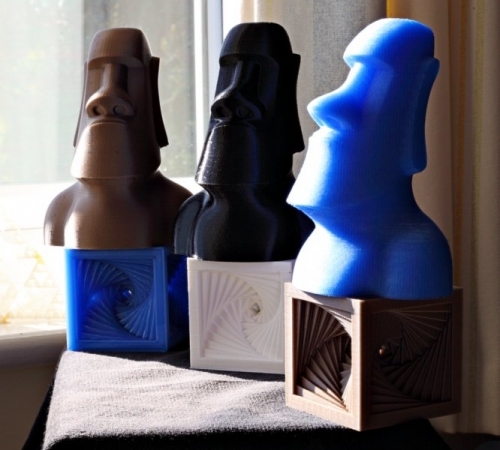 Second image shows the 3D printed collection so far – all in Rigid.Ink PLA. 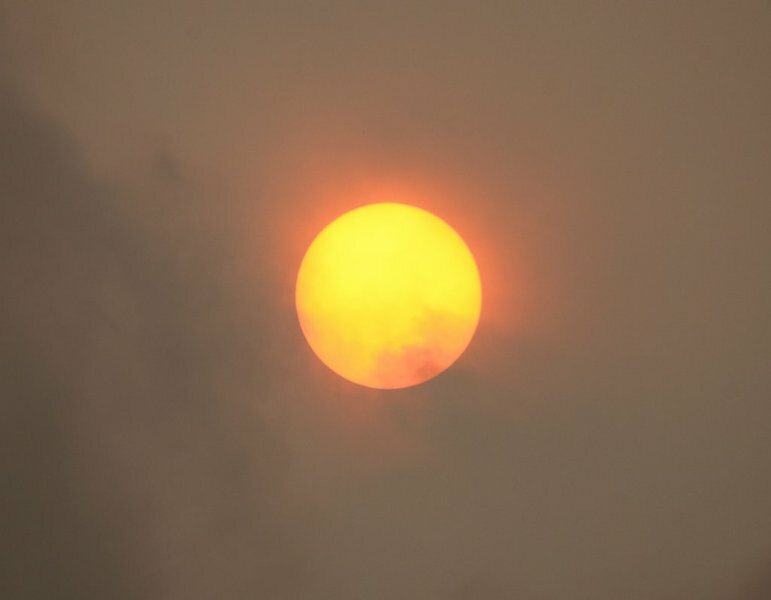 Ophelia dragged up a load of Saharan dust as well as smoke from Iberian forest fires to give this blood red Sun at mid-day today over the New Forest Observatory. Very eerie and atmospheric this morning. 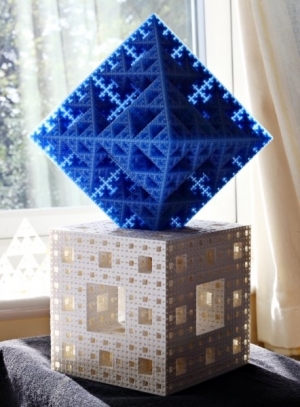 Sierpinski Octahedron in blue sitting on top of a Menger Sponge in white.